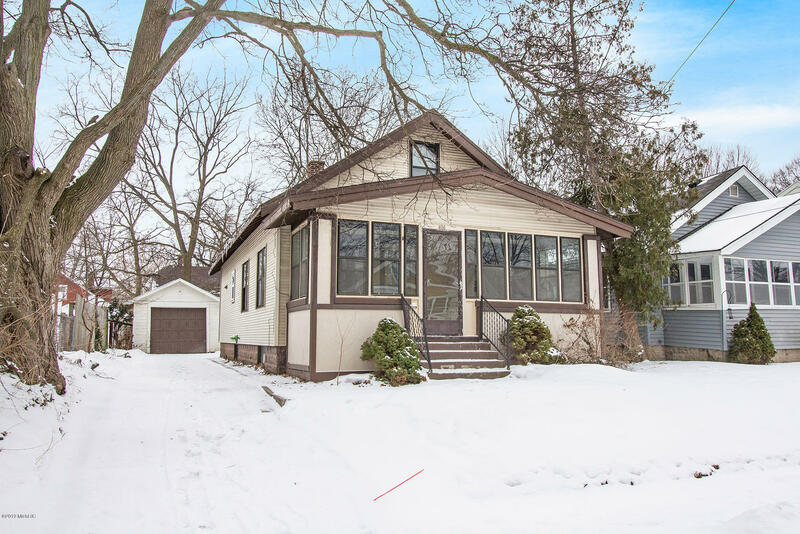 Check out this completely remodeled 3 bed, one bath home in sought after NE Grand Rapids. This beauty boasts a partially finished basement with a fantastic bar. Kitchen features new stainless steel appliances, new vinyl plank flooring, new countertops, and stylish subway tile. Kitchen opens to a dining room with a stunning skylight. There's also a slider that leads to the partially fenced in backyard. Bathroom comes equipped with a new vanity, toilet, and new flooring. Huge living room leads toa screened in sunroom. Basement offers a huge rec room with a built-in bar. All 3 bedrooms are recently painted with new carpet and are a generous size. Other features include; newer furnace, water heater, and all appliances stay.